Located just a hop, skip, and a jump from the U of M campus, this is definitely the place to go when you find yourself caught over in Northeast. Given the beautiful weather we’ve been having you might want to give the summer roll a try, which features tempura shrimp and gari, plus yellowtail marinated in spicy ponzu with daikon and carrots. 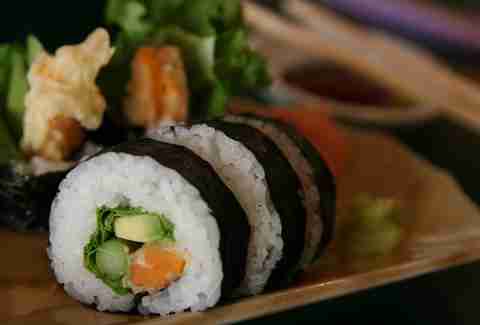 This has been a South Minneapolis staple with a solid fan base for quite some time, and while it often seems to go unnoticed by people outside its 'hood, this place serves some pretty decent plates of sushi. Your traditional list of standard items are all represented, but what’s nice is that the servers bring you a card and you mark down what types of sushi you want and how many pieces you require, which makes for a pretty simple ordering process, and you don’t have to feel ridiculous when listing off 20 different sushi items. One of St. Paul’s premier sushi hotspots, this place has an entire portion of its menu dedicated to specialty rolls named after MN Wild players, including one called In Memory of Derek Boogaard, the former Wild star who died in 2011. 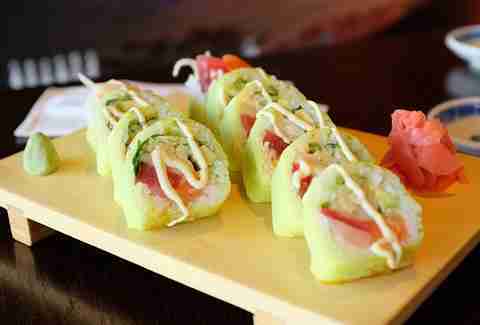 The memorial roll features shrimp tempura and spicy mayo topped with crab meat, cream cheese, and a drizzle of Sriracha. For a long time most people thought this place was the single best sushi restaurant in the Twin Cities, and while its sushi typically runs toward more traditional fare, it's the only sushi restaurant in town where, during the winter months, you can find fugu (the infamous and potentially lethal blowfish) on the menu (only at the Downtown location). Don’t worry though, it's also got the obligatory laundry list of rolls if that’s what you’re looking for. Opened in a remodeled two-car garage back in 1959, this is the place that not only introduced the Twin Cities to sushi, but also to Japanese food in general. Its come a long way since then, but it still sling some of the best fish in town. 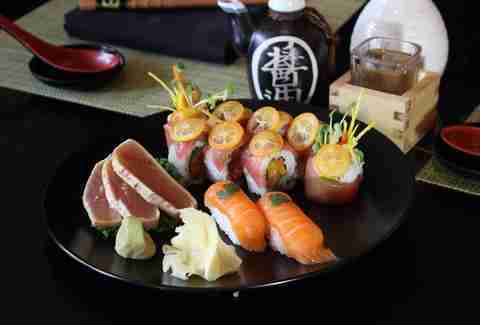 Might we suggest a platter of various nigiri and a spicy tuna roll? If you’re going to nosh on the classics, you might as well do it at the place that’s been doing it the longest! People have been digging on this place since its doors opened up just over a year ago. With a firm dedication to sustainably sourced seafood, it absolutely knows how to deliver. 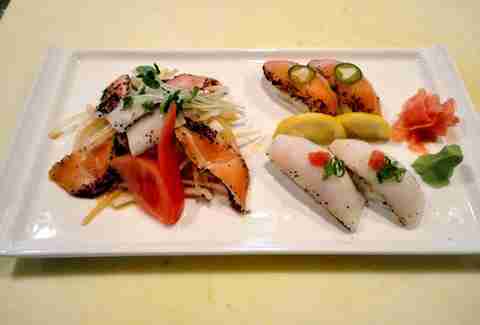 Also, as far as we know, it's the only place in town doing oshizushi (pressed sushi). 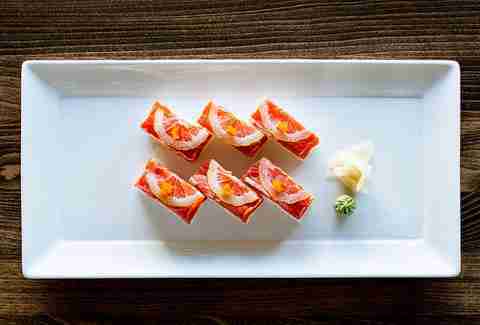 Go for the sake oshizushi, which comes with salmon, a slice of lemon, and rice all compacted together with a fish egg garnish for a blast of delicious flavor! 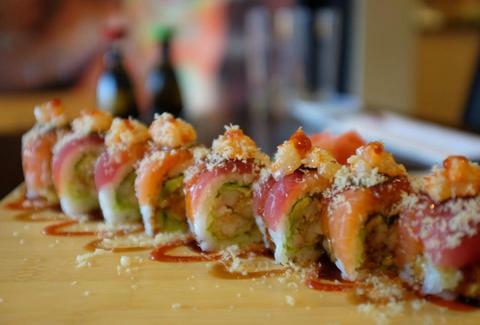 Masu has been a fan favorite since it opened in the spring of 2011. With a great selection of quality rolls, nigiri, and various other Japanese-inspired goodies, along with a pretty rocking happy hour, it’s no surprise that it's one of the best spots in town. 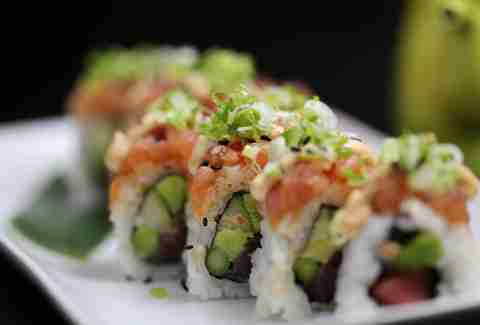 Consider ordering the namesake Masu Roll, which comes shrimp tempura, habanero masago, avocado, salmon, scallop, unagi, and green chili sauce. Don’t forget to order yourself a Big Man Japan to help wash it all down. 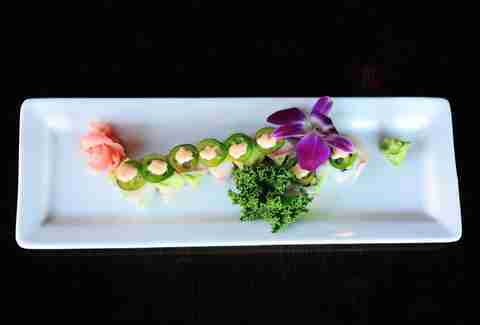 It’s almost impossible for us to wrap our heads around the fact that one of the best sushi restaurants in the Twin Cities (okay, Wayzata) started out as a sushi-slinging food truck, but it did. Now it's not only gone brick-and-mortar, but it also had to lease out a neighboring business so it could accommodate the droves of people looking for incredible sushi. 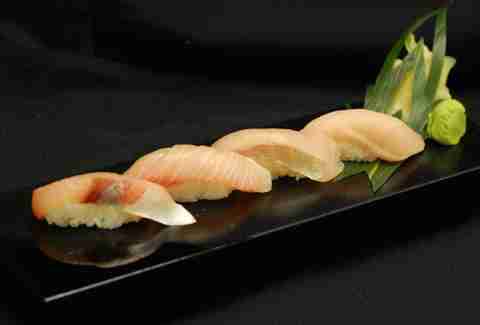 Go for an assortment of nigiri because there’s no other place in town that prepares generous slices of incredible quality fish quite like it does. The rolls are equally as generous and if you’re going that route, we’d suggest the Silly Bill, which is named after owner and goofball extraordinaire, Billy Tserenbat.